Now this is how you do it! 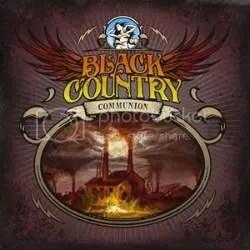 Black Country Communion is a band that is cranking out albums with old school pacing — only nine months have passed since they released their debut! How long will we have to wait until the third album? In comparison to the self-titled debut, 2 is “more of the same” and that’s not a bad thing at all. The band continues with the same classic hard rock style from last year that makes use of blues-rock and a Led Zeppelin influence. Speaking of Led Zeppelin, the influence is even more apparent on 2 — Jason Bonham is pounding away just as his dad did and there are Middle Eastern influences sprinkled throughout thanks to the keyboards. If “I Can See Your Spirit” and “Save Me” aren’t worthy of being a Zeppelin songs I don’t know what is. In the case of “Save Me”, it just so happens it’s the only song on the album that all four members of the band wrote together. The Middle Eastern touches also remind me of early Rainbow and alternately there are times when Sherinian does a fine job of making you think you were listening to Deep Purple. But obviously these are all top notch musicians. Joe isn’t just a great blues guitarist, he’s a great ROCK guitarist, Jason is too good to have spent most of his life as a journeyman drummer, Derek shines on this album more so than on the debut and Glenn Hughes still hasn’t lost his touch. I know that Glenn can be an acquired taste but when the guy is singing no-frills hard rock such as this, I can’t see how you can’t be impressed. Definitely one of the best vocalists alive today. Of course, it isn’t ALL classic rock. Joe Bonamassa has almost been on equal ground with Hughes when it comes to the songwriting in this band. On the songs that Joe actually sings, it really sounds a lot similar to his solo material. “The Battle for Hadrian’s Wall” and “An Ordinary Son” would’ve easily fit on his latest album Dust Bowl. It’s being said that this album is a “grower” but I felt the original was that way too. It took me about 2-3 spins before I really got into this album but once I did I knew it was great. The album clocks in at sixty-four minutes with the songs averaging about six minutes a piece but it’s well worth the investment to take the time and listen. Hughes was crowing about how much better this album was than the debut and that BCC now truly feels like a real band. Well, I agree BCC does feel like a real band now but I think the debut is slightly better. 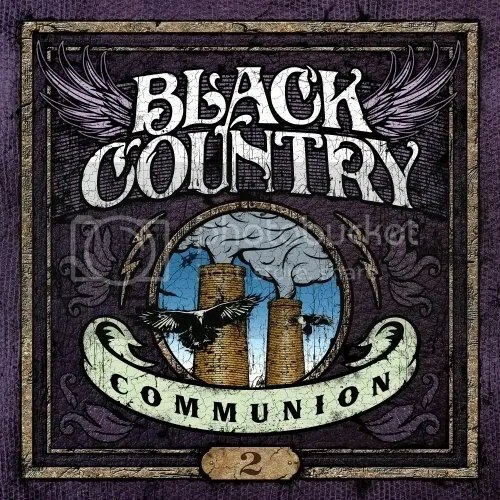 Still, this album receives a definite thumbs up from me and here’s hoping BCC continues on after this album/tour. BCC is one of the year’s best surprises for me. I like Hughes, I like Bonham but even when I heard about this band getting together and it wasn’t anything for me to get excited over. I love Glenn Hughes’ voice but other than Deep Purple and the one Black Sabbath album he did, the music he’s been a part of has never really impressed me. Nothing terrible just nothing that stood out and with him fronting the band and seemingly the leader of the group as well, I was afraid BCC would venture into the “unremarkable” category. Not so! As Hughes himself has said this album is a “traditional classic rock record with a modern twist”. I definitely agree. Many of these songs would sound right at home on your local classic rock radio station, other than the production, some of these songs you wouldn’t even be able to tell they were new! That’s a huge compliment in my opinion. BCC is a complete throwback to the hard working British bluesy hard rock bands of the ’70s, which isn’t a surprise considering the members. The only oddball seems to be Sherinian, who I am only familiar with through Dream Theater and the various session/touring work he has done. Didn’t realize a band like this would be his kind of thing. Hughes sounds just as powerful as ever. His performance on “The Great Divide” is my favorite on this album. The production is great and gives off a nice meaty sound and the funk/blues influences you would expect from a Hughes/Bonamassa collaboration is all there. Despite Classic Rock magazine’s constant hype for Bonamassa, I’ve never listened to him. He’s primarily a blues artist but this guy can really rock out, he does a fantastic job all throughout the album and even handles lead vocals on “Song of Yesterday” (a classic rock epic if there ever was one) and “The Revolution In Me” while sharing vocals with Glenn on “Sista Jan” and “Too Late for the Sun”. There’s no reason for anyone who is a classic rock fan to NOT own this album. The album is worth picking up for “One Last Soul” and “The Great Divide” alone. Unfortunately, at least as far as the mainstream and commercial outlets are concerned, this album has gone unnoticed in the States but has done pretty well in the UK. Easily another one of the year’s best albums and I’m glad Hughes has already stated he is working on album Number Two right now. Forget Chickenfoot, this is a “supergroup” that can actually turn in a great album! I’m not sure if this is a “limited” edition or not but my copy from Amazon came with a DVD that features a music video, photos and interviews. It runs about 40 minutes, that’s a pretty good deal. Sometimes these DVDs that get thrown in are only 15-20 minutes of material. Truth be told, I haven’t watched it yet but because I like this album so much, I’ll probably pop in it in the DVD player soon.